The Ultimate ZenBook? Sporting nearly identical specifications to the recently-reviewed G501JW, the UX501JW—with a 4K LCD display, discrete graphics, and quad-core CPU—targets an audience who may in fact be a better fit for its choices. 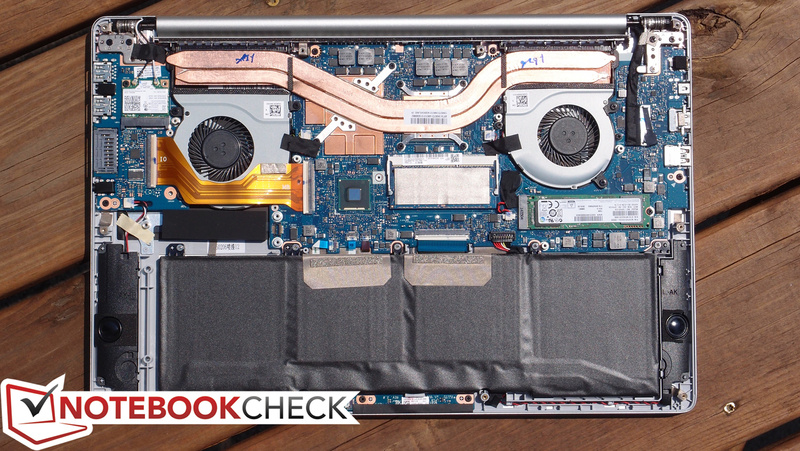 Is this truly the ultimate ZenBook? 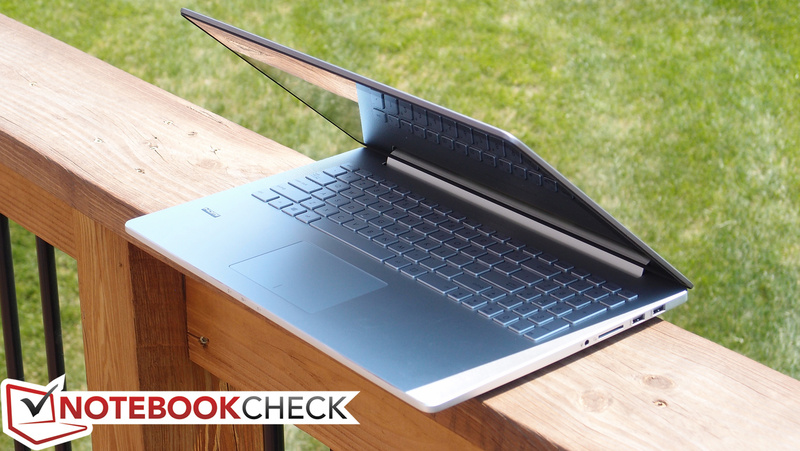 As a follow-up to the pricey ZenBook NX500, the ASUS ZenBook Pro UX501 is meant for power users who prefer not to compromise. 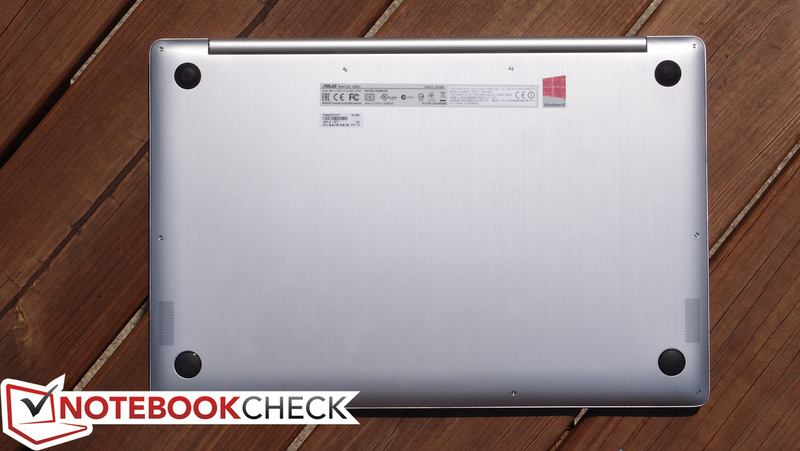 Observing its lineage, it goes without saying that we’ll be treated to attractive aluminum casing and attention to detail that is often absent in lower-tier laptops. Of course, it’s also bound to be expensive. 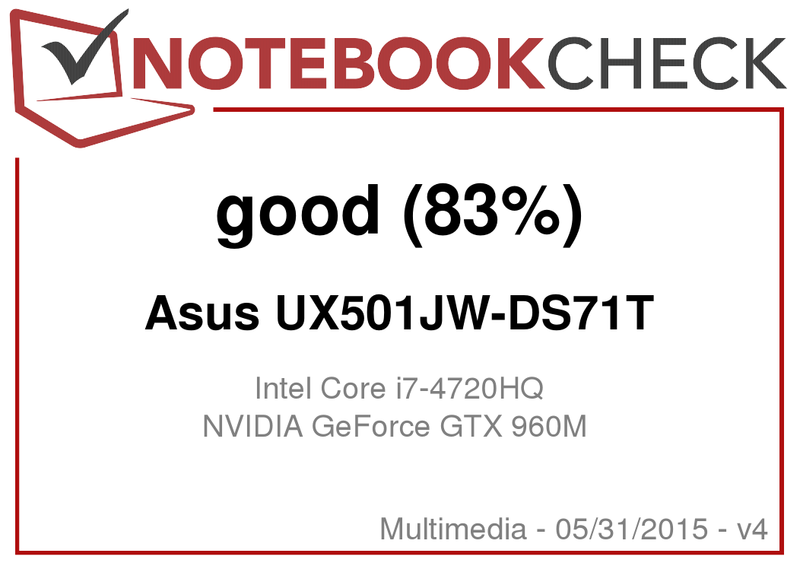 No surprises here: the UX501JW-DS71T that we received not only features a blazing Intel Core i7-4720HQ quad-core CPU and 16 GB of RAM, but it also packs a 4K IPS display, respectable discrete graphics (an NVIDIA GeForce GTX 960M), and what ASUS calls the “world’s fastest SSD”—a PCIe x4 512 GB Samsung drive. 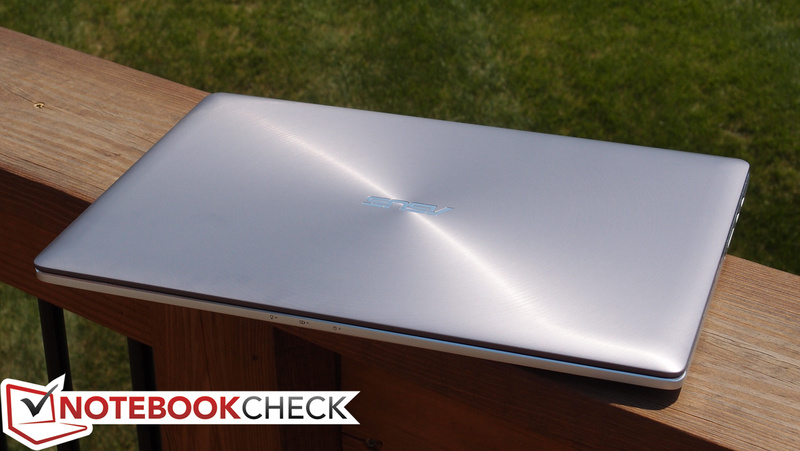 It’s essentially the ZenBook iteration of the G501JW which we reviewed just last week. Naturally, none of this comes cheap; our machine’s configuration, as of the time of this writing, carries an MSRP of $1,799. Update: Following the publication of our review, the price has actually dropped to just $1,499. At $300 less, the machine is now a much better value than before! Is it worth the price tag? 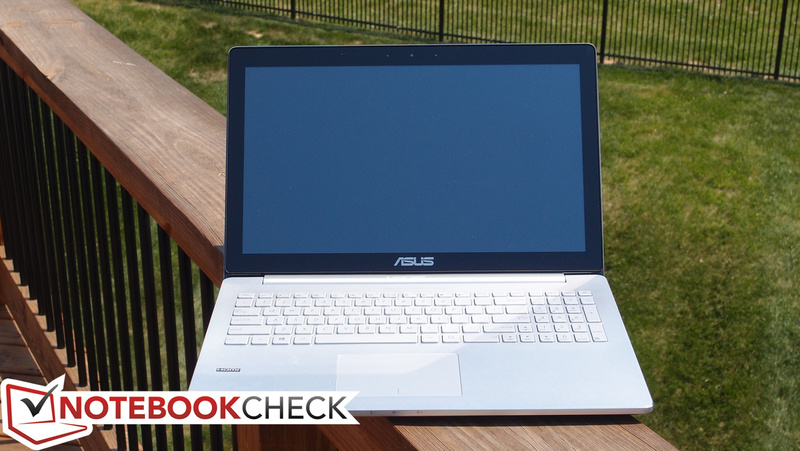 And is it really the zero-compromise machine ASUS set out to build? 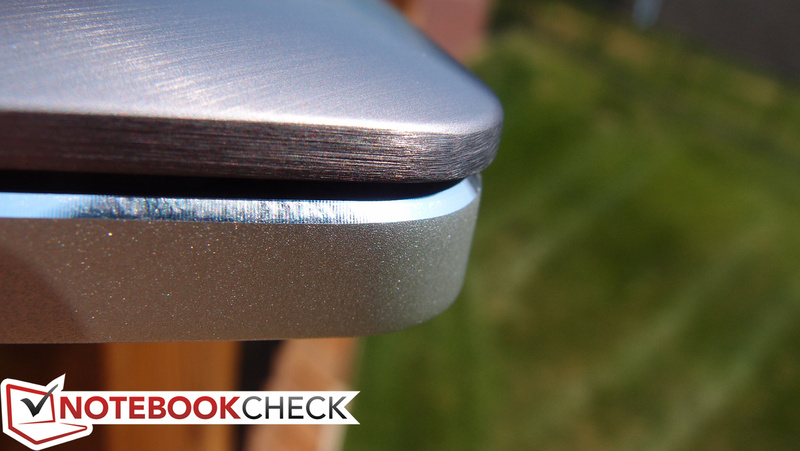 The ZenBook’s flashy silver aluminum case certainly looks the part; in conjunction with the ZenBook Pro moniker, it’s clearly aimed at comparing with Apple’s offerings. With stylish beveled edges surrounding the base unit and the familiar and attractive spun-metal lid finish, this is an unmistakably high-end machine. Haptics are nearly as positive, with the smooth aluminum palmrest catering well to wrists and the entire package feeling quite comfortable on the lap. Coming in at 2.27 kg (just over 5 lbs), it’s also pretty light for a machine with a 15.6-inch display. In terms of stability, the metal casing lends requisite rigidity, though the base unit does give notably in the center (especially at the top, which is often the case), and distortions are visible on the LCD panel when pressure is applied from behind. While the exterior of the case is indeed metal, the interior frame is actually plastic—the same as on the NX500, and while it doesn’t detract much from the machine’s practical durability, it is a bit of a buzzkill when viewed side-by-side with a MacBook Pro or many other leading Ultrabooks. 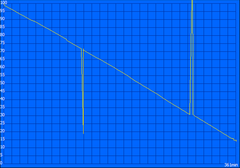 The hinges hold their chosen angle without trouble, though they yield to tapping and vibration with an unfortunate bounce. Lastly, the biggest negative is certainly the subject of maintainability—not because upgrades are not possible (they are indeed), but rather because they are unnecessarily obstructed by a silly bottom cover design. In order to remove it and access the internal components, you’ll need to conquer not only 10 Torx screws, but also two additional hidden Phillips-head screws beneath the top two rubber feet. The feet are secured by double-sided adhesive tape, and they’re difficult and annoying to remove without making a mess of it. Fortunately, once inside, you’ll find that nearly all of the major components can be replaced: RAM, M.2 SSD, WLAN module, system fans, and battery, to name the highlights. The UX501 features a reasonable selection of ports, though it is a bit slim for its size and class. You get just 3 USB ports—which is one fewer than we’d like to see on a 15.6-inch machine—though they are all USB 3.0. 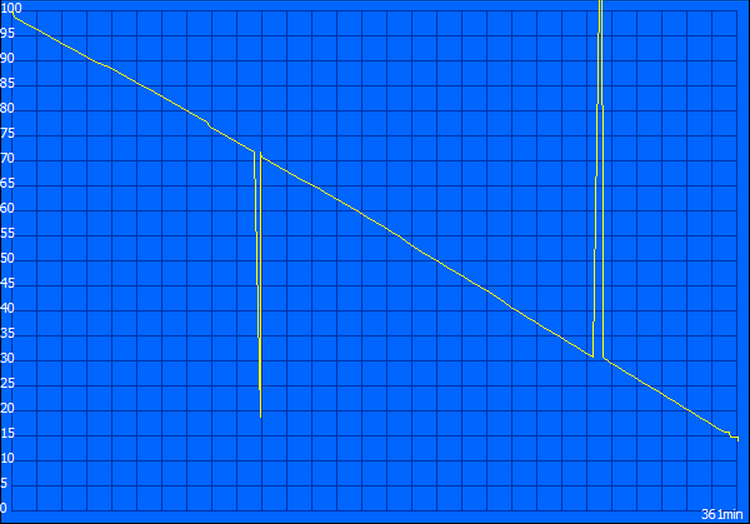 While VGA is rendered natively absent by the DisplayPort, there’s also HDMI, which is a convenient inclusion. However, users who need Ethernet and VGA ports can only acquire them via the two included adapters: USB to Ethernet and DisplayPort to VGA. 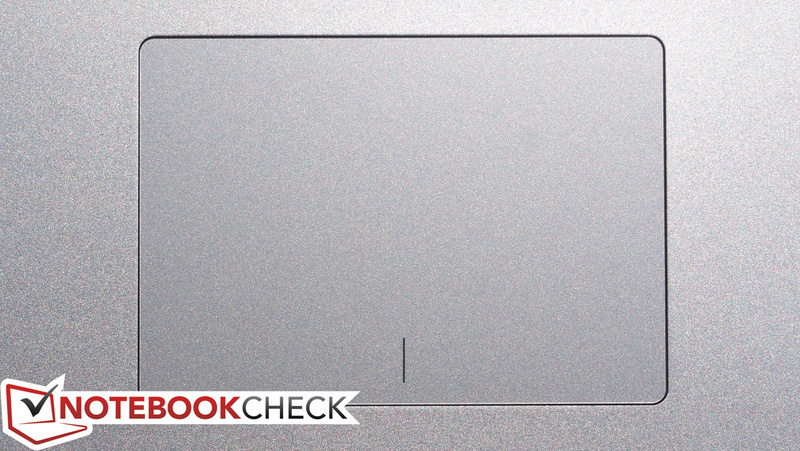 Although the case marking on our review unit did not reflect this, our machine also includes Thunderbolt, as do all ZenBook Pros of this configuration. For wireless connectivity, a trusty Intel Dual Band Wireless-AC 7260 is on board, which supports speeds of up to 867 Mb/s. We encountered no issues with WLAN operation throughout our testing period, with good reception in all of our usual testing areas. Bluetooth 4.0 is also included, as well as Ethernet by way of the aforementioned USB adapter. The webcam is a rather pedestrian 720p model with reasonable skin tone reproduction and light sensitivity, but it gets the job done. 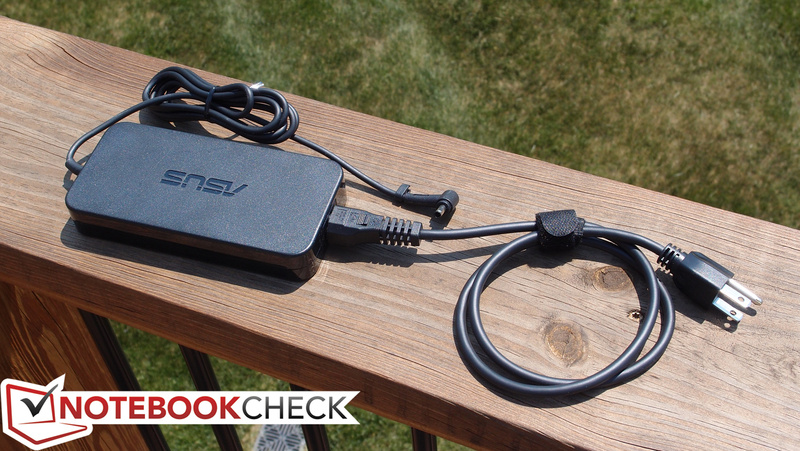 The UX501JW-DS71T leverages a relatively large 544 g, 120 W power adapter. Alongside it are included (with our review unit) adapters for both USB to Ethernet and DisplayPort to VGA, as well as a microfiber cleaning cloth and an ASUS keychain. 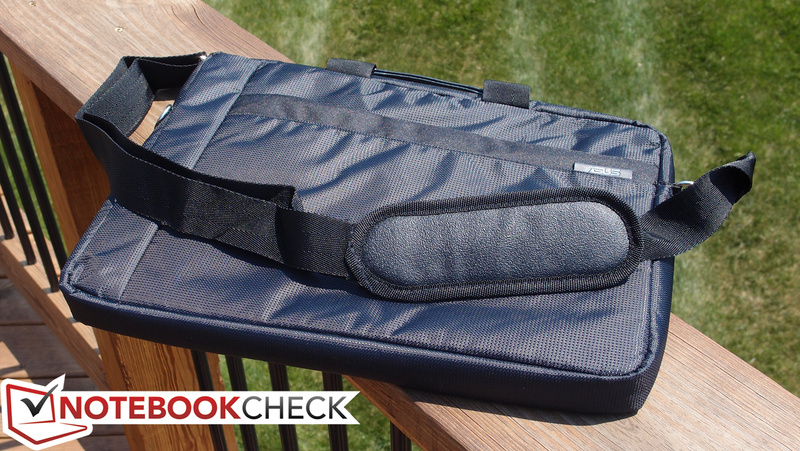 We also received a shoulder bag/carrying case, which fits the laptop well and features a standard array of accompanying compartments, but which is quite basic in terms of construction. 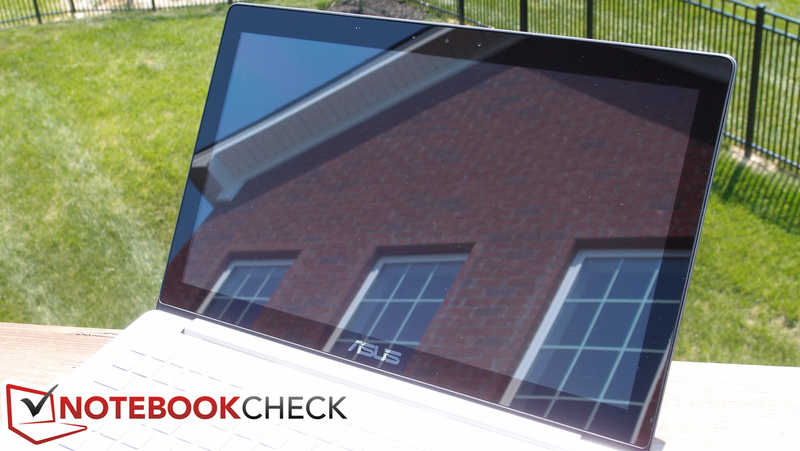 The ZenBook Pro ships with a 1-year depot warranty. 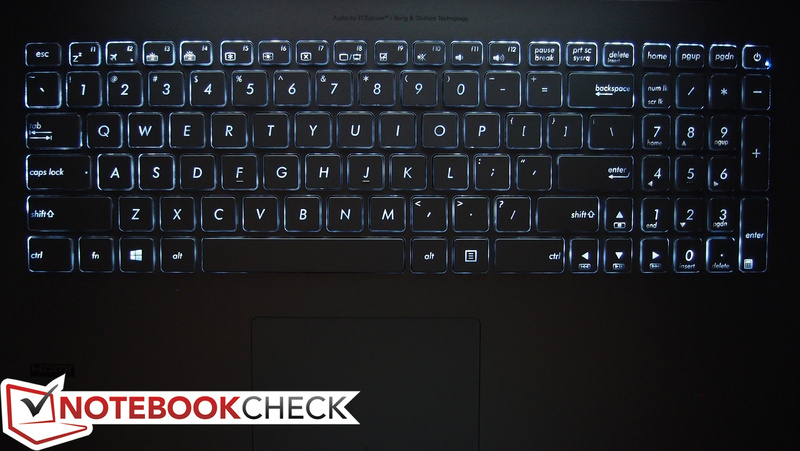 The ZenBook Pro’s chiclet keyboard is mostly comfortable, though for a bit we were missing occasional keystrokes until we learned to subconsciously apply a little more pressure than we had at first. 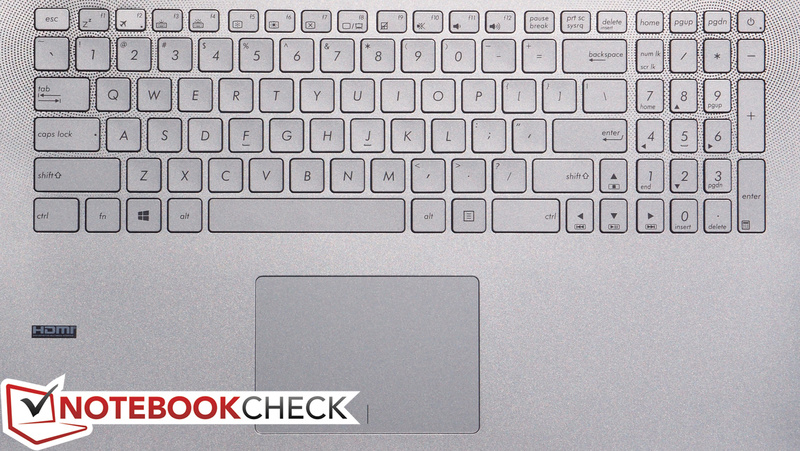 ASUS claims to have “expertly tuned” the keyboard’s keys to provide -1.6 mm of travel. By our judgment, the travel of the keys was moderate and quite comfortable, and the feedback and spacing were good. We did find a few keys looser and less responsive than others (such as Backspace), but by and large the typing experience was pleasant. The presence of a separate number pad (a normal feature on machines sizes 15.6-inch and above) is convenient. The keyboard is also backlit, offering four total states (Off, Low, Medium, and High). 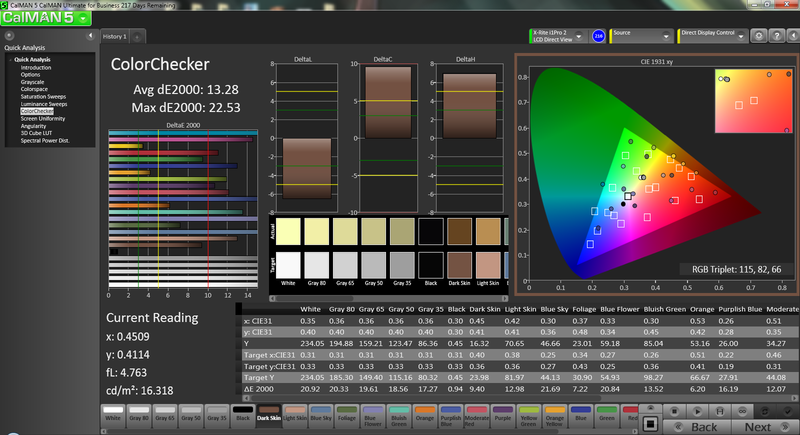 ASUS has received some criticism in the past due to the lack of contrast between the key and label colors; that problem persists on the UX501, especially when the backlight is on in dimly-lit areas. It’s not a major problem, but it is an unsettling nod to form over function. 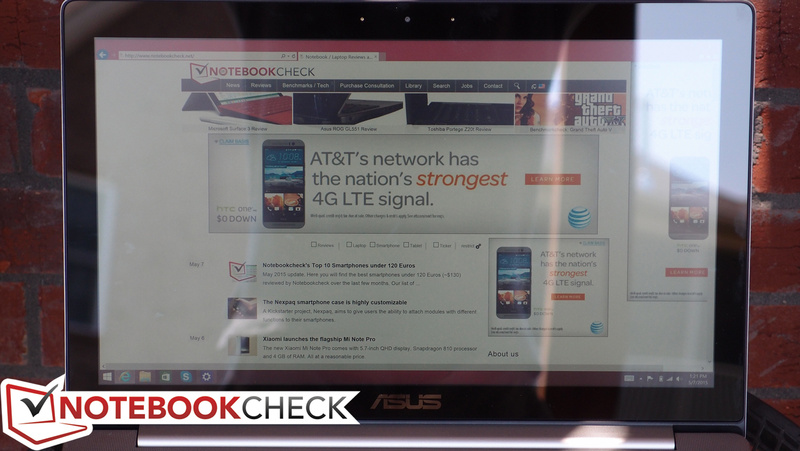 ASUS leverages Elan to produce the UX501 clickpad, and for the most part, it provides for a positive experience. While response speed can’t compare to Microsoft Precision Touchpads or some of the better Synaptics or Alps offerings, it’s not bad. The glass surface is comfortable to glide across and spacious, and we had no issues with accuracy. As for the integrated buttons, they seem to function with minimal collateral pointer movement, but they’re a bit difficult to depress. As usual, we’d greatly prefer separate buttons, especially given the availability of the necessary space. The UX501 also sports a 10-point multitouch screen, and apart from the annoying vibrations permitted by the hinges when tapping, we encountered no trouble with its operation. Returning to the specs roster as a hot selling point is the UX501’s 4K display (3840 x 2160 pixels), and its resolution does look quite nice. It’s a 15.6-inch glossy IPS display panel with an effective pixel density of 282 PPI (though the pixel arrangement is PenTile, so that evaluation is debatable). 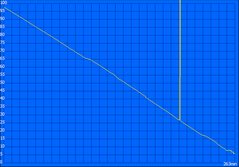 Thanks to a stock DPI scaling setting of 200% (that’s 50% above the usual maximum preset value within Windows 8.1), objects are comfortably large on-screen and their borders, including that of text, are wonderfully smooth. Our initial impressions of the panel, apart from those related to resolution, described a conspicuous yellow tint present in white areas, and a darker-than-normal reproduction of yellow hues throughout. Many critics will lament the choice of a higher-resolution panel where diminishing returns are certainly in play, as it surely detrimentally affects battery life. ASUS does offer a 1080p model with a matte, non-touch panel, but it is not available in the United States (yet); it would be great to have that option as well. A brightness average of just 281 cd/m² is nothing remarkable, and our contrast measurement of 434:1 won’t turn any heads (thanks to a black value of 0.714 cd/m²). 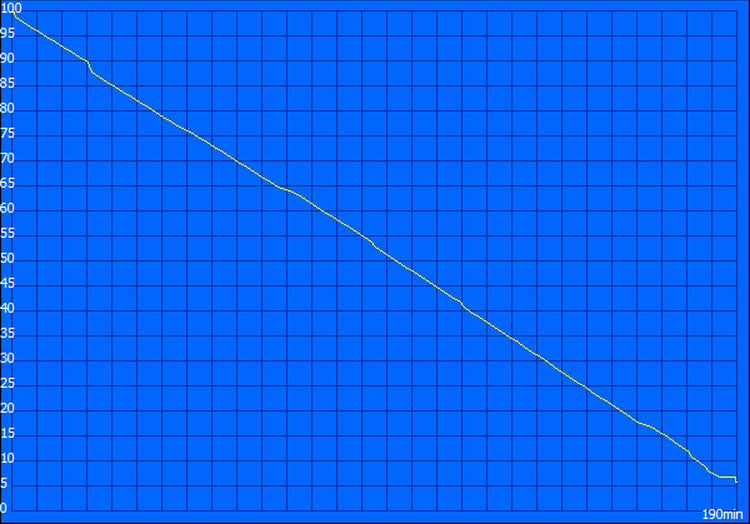 On the other hand, the brightness distribution of 85% is uniform enough that it’s impossible to tell any sort of variation between quadrants. Oddly enough, while ASUS claims 100% coverage of the sRGB spectrum in the VisualMaster display on the ZenBook Pro, our measurements only showed 76.24%. Subjectively, this seems more accurate, as the colors truly don’t seem all that rich in many circumstances. However, just to be certain, we are going to re-run our measurements once more and will provide another comment here afterwards if we've found a discrepancy. CalMAN 5 doesn’t seem terribly impressed with the color accuracy either. 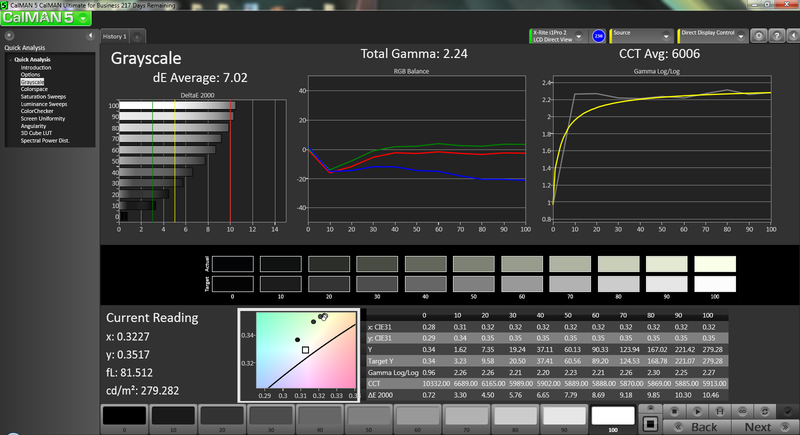 With measurements from our lab showing a ColorChecker DeltaE average of 9.14 (max: 15.04) and a Grayscale DeltaE average of 7.02, the machine’s out-of-the-box color doesn’t seem quite as accurately-calibrated as advertised. 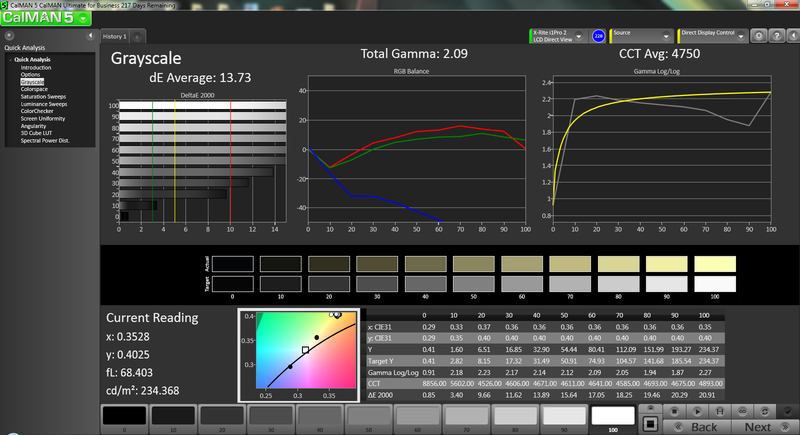 Post calibration we experienced very similar results, so it doesn’t appear to be something that’s resolvable, either. 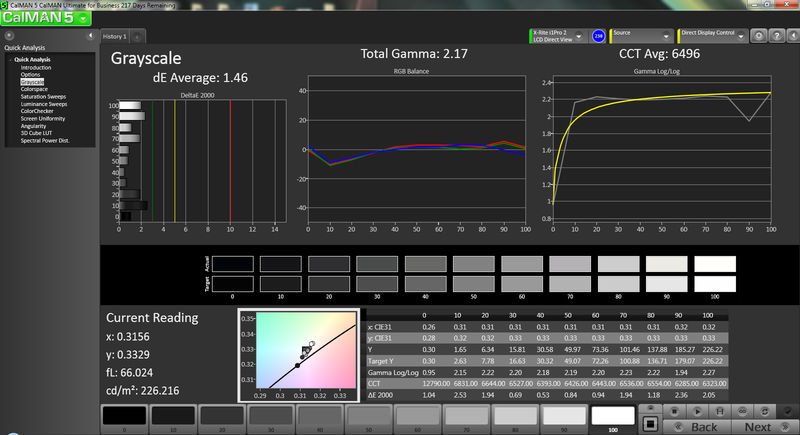 On a brighter note, a total gamma of 2.24 is nearly perfect, and the CCT average of 6006 is only slightly on the warm side. May 29, 2015 update: Our revised color profile tests are shown below for each Asus Splendid color mode including one after our calibration efforts. While we still measure a sRGB coverage of just over 72 percent, Asus has confirmed with us at least a 94 percent coverage according to their own measurements. 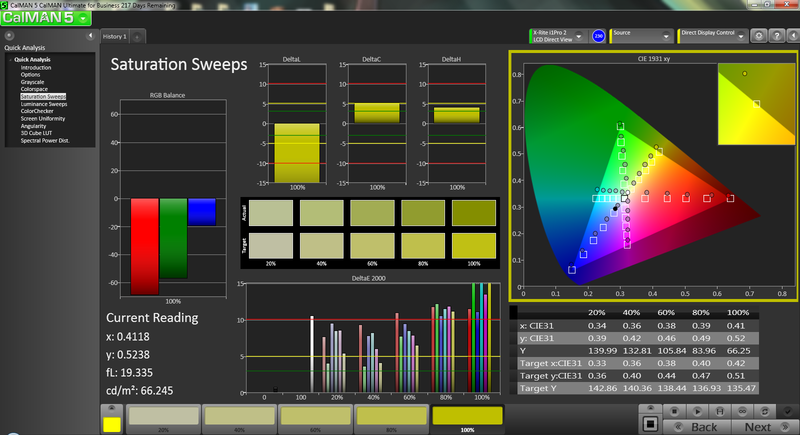 We've also remeasured black levels to be lower than before for a contrast ratio close to 1000:1. We will provide further updates as we reconfirm our recordings. Outdoors, the UX501 struggles mightily, partially due to the middling contrast ratio and brightness, but most of all thanks to the incredibly glossy screen finish. The machine is unfortunately quite a challenge to use in any sort of bright environment. The problem is compounded by the bouncy hinges during any sort of tapping or vigorous typing, which leads to dancing reflections. 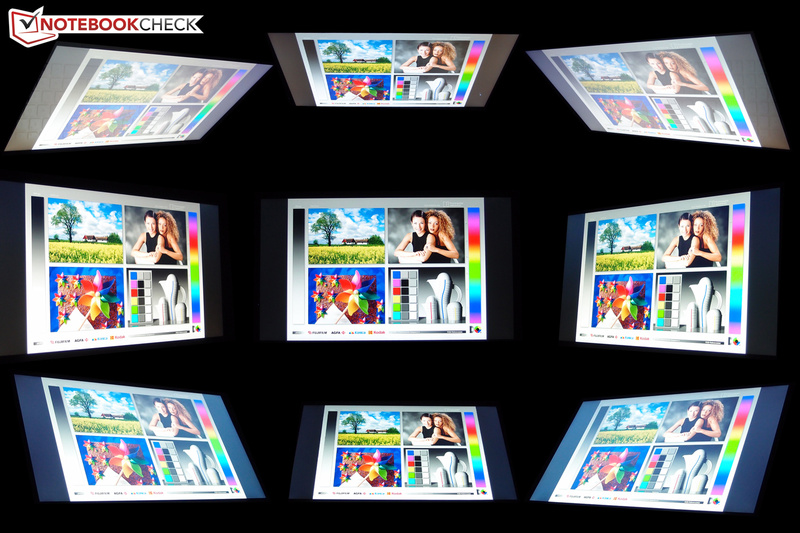 As for viewing angles, reflections notwithstanding, they’re very good thanks to the IPS panel. 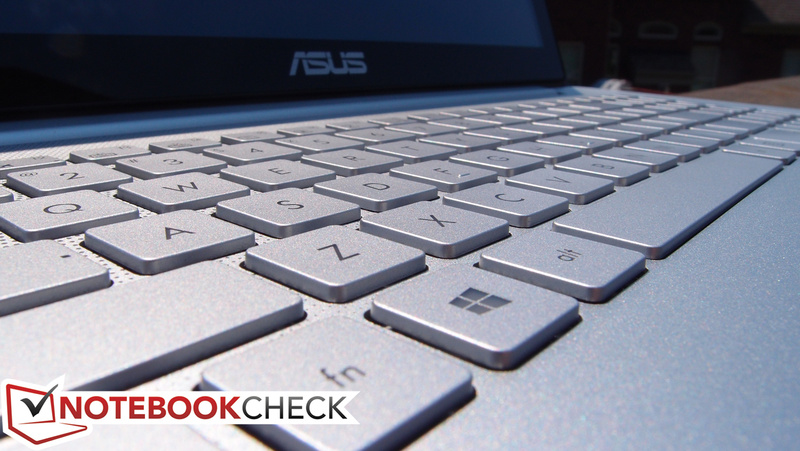 The ASUS ZenBook Pro ships with but one CPU option: the Intel Core i7-4720HQ. Memory configurations range from 4 GB to 8 GB (single DIMM), with support of up to 16 GB. 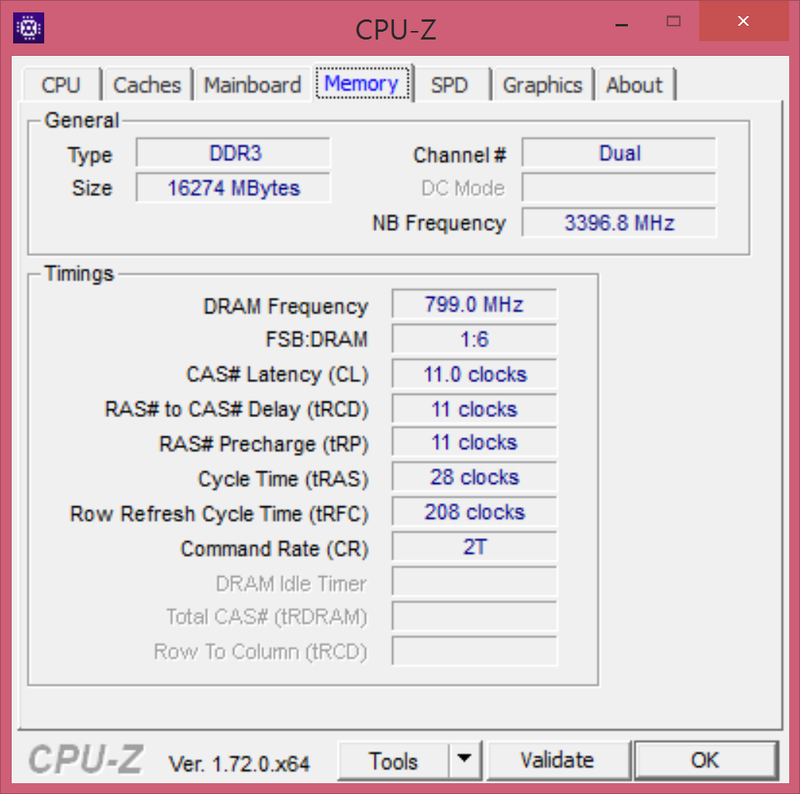 However, dual-channel memory is not possible on the machine, which detrimentally affects integrated graphics performance more than anything else. 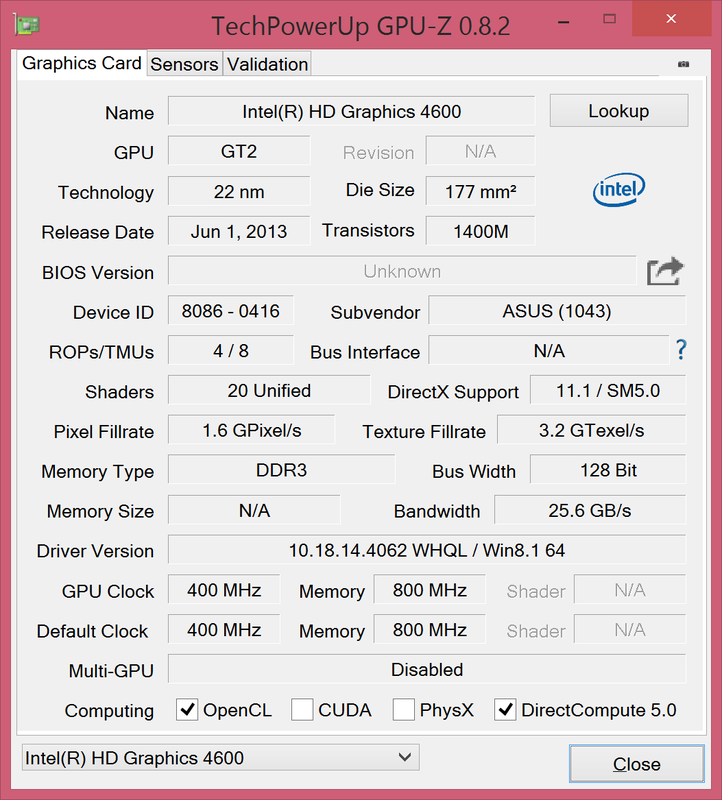 Fortunately, integrated graphics aren’t likely to be tapped often as the GTX 960M is a superior alternative. Storage options range considerably wider, but we’ll cover those more thoroughly in our dedicated section below. 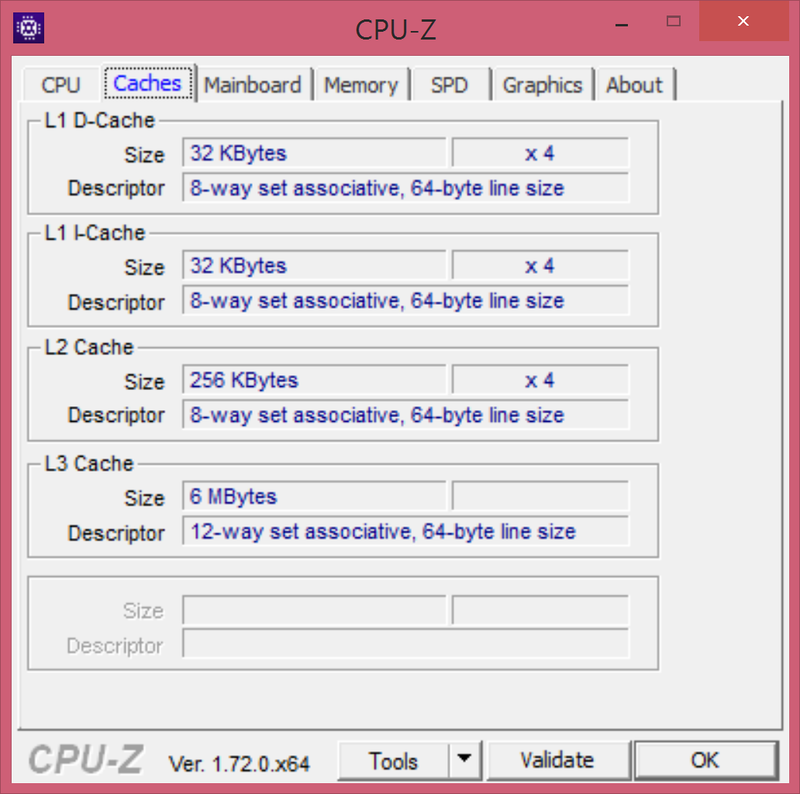 Processor performance as compared to other notebooks with similar configurations is generally average (perhaps slightly below), with scores of 6.44 points and 579 point in Cinebench R11.5 / R15 xCPU 64-bit respectively (versus R11.5 scores of 7.07 for the Acer Aspire VN7-591G-727P and 6.5 for the ASUS G501JW, for instance). Overall, it’s very good, and will not be perceived as lacking by any general user. What's more, the application performance is even better, as we'll see in just a moment. 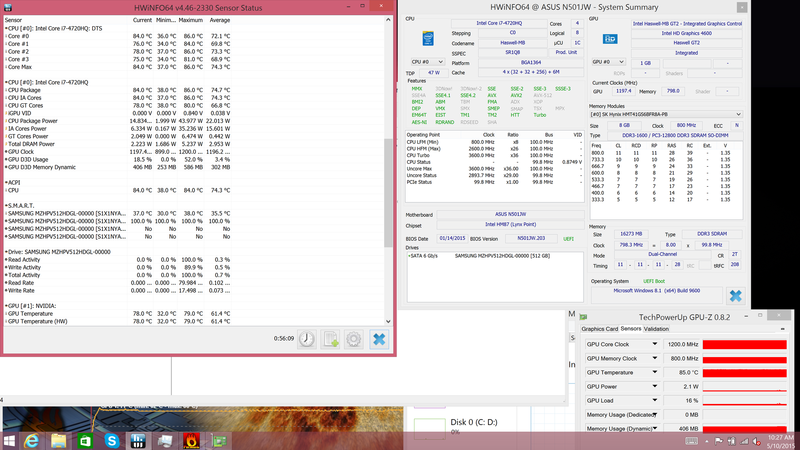 We executed a second run of 3DMark06 to check the machine’s performance while operating unplugged. 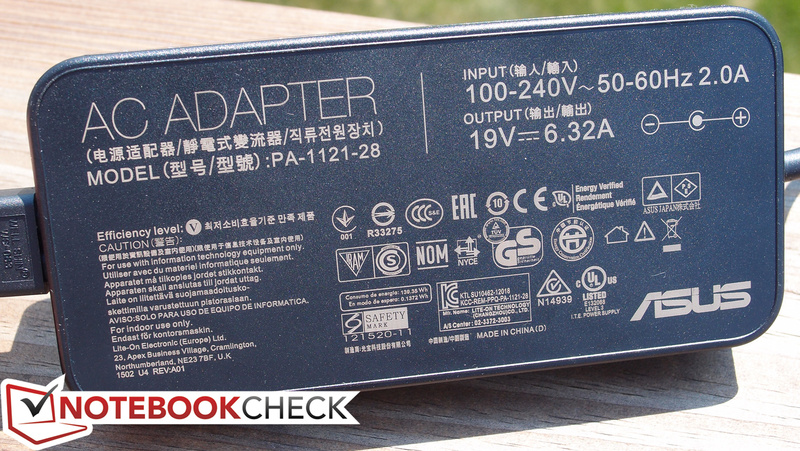 The result of 7225—just 30% of the original score we received of 23938—indicates notable performance degradation if the AC adapter happens to be absent. Fortunately, DPC Latency Checker revealed no issues with normal latencies recorded throughout the time we performed the testing, even with all wireless radios enabled. 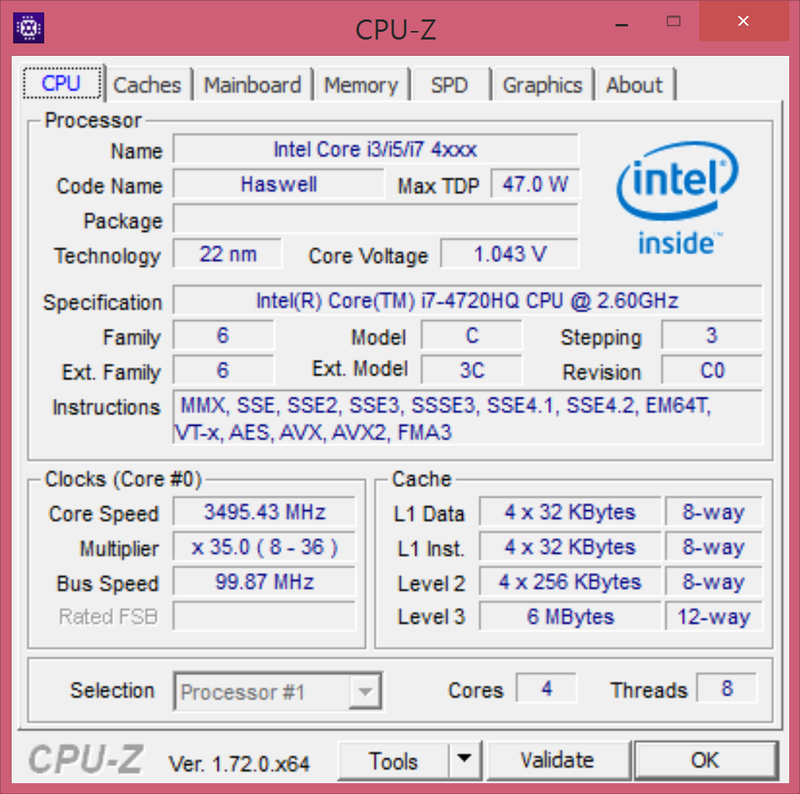 The UX501JW’s Intel Core i7-4720HQ is a formidable contender. 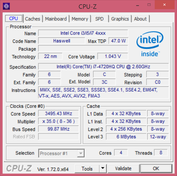 This is a Haswell architecture-based quad-core processor with a base clock rate of 2.6 GHz and the ability to Turbo Boost up to 3.4 GHz (for 4 active cores) or 3.6 GHz (for 1 active core). 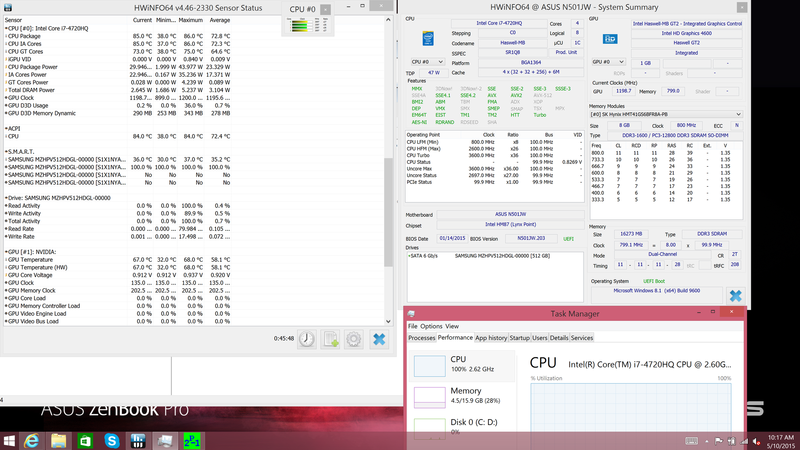 It’s merely a marginal improvement over the i7-4710HQ, but that CPU was no slouch to begin with. 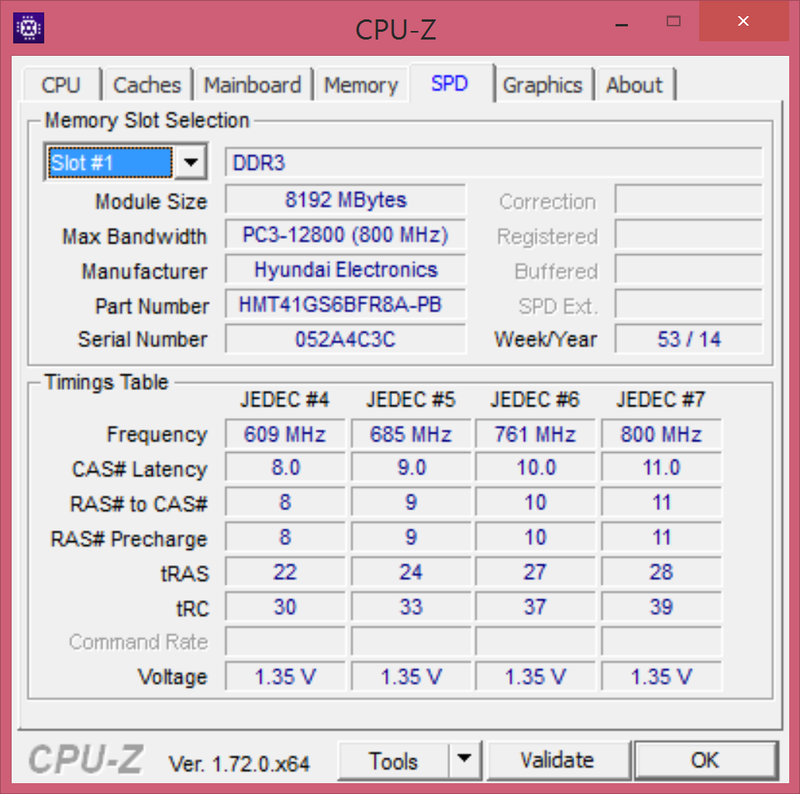 Its TDP of 47 W means that it can be power-hungry when necessary—so that may explain the drop in performance while operating unplugged (as detailed above). We briefly discussed some of the multithreaded performance results above, which aren’t bad, but which trail slightly some other machines with similar configurations. In single-threaded operations, the CPU fares a bit better, such as during wPrime 2.0 1024m, where we recorded a score of 272 seconds (versus between 248 and 262 for two other PCs featuring the same CPU, the MSI GE62 2QD (Russian) and the Razer Blade Pro 17 inch 2015). Things look even better in superPi, where the score of 570 seconds is only slightly behind the aforementioned machines’ scores of 561 and 562 seconds (respectively). Overall, in spite of any possible comparative deficiency, there should be no reason to fault the Zenbook Pro based on its CPU selection. It is quite powerful and quite reliable under heavy use. 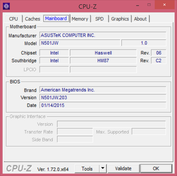 For much more information on this particular processor, please see our dedicated page here. Thanks to the ludicrously fast PCIe x4 SSD, the UX501 manages excellent PCMark scores, beginning with a 6087 in PCMark 7 and extending to a 4195 in PCMark 8 Creative (for full results, please see the graph below this section). That latter score is actually even higher than the result that ASUS advertises on its landing page for the machine, and it certainly indicates a very capable device. Our impressions suggested nothing less, as we never experienced so much as a stutter while using the device during our testing period. It should be more than sufficient for just about any form of general use. 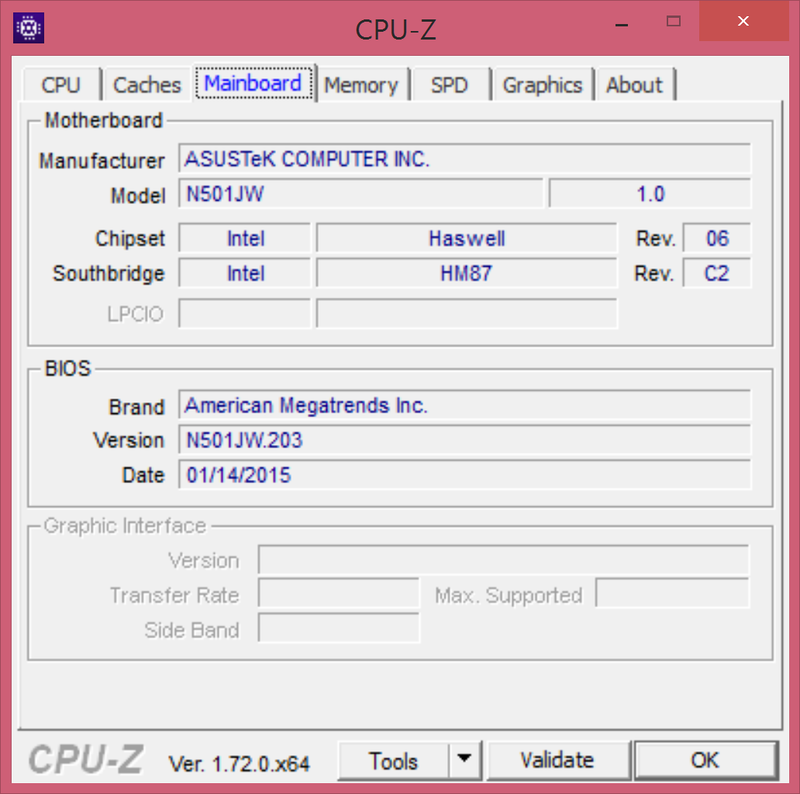 Speaking of the storage drive, the solid-state drive ASUS chose for the UX501 is the Samung PM951 (specifically, model number MZHPV512HDGL), which in this case leverages a PCIe x4 interface to yield results nearly twice as fast as competing x2 models. Our storage benchmark results reflect an indisputably quick drive, with AS SSD reporting sequential read/write speeds of 1401 MB/s and 1112 MB/s. 4K-64 performance is also very good, with R/W values of 976.75 MB/s and 351.6 MB/s leaving little room for criticism. 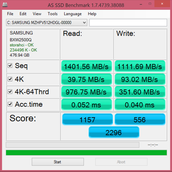 The overall AS SSD score of 2296 summarizes it all and blows away nearly all of the competition. 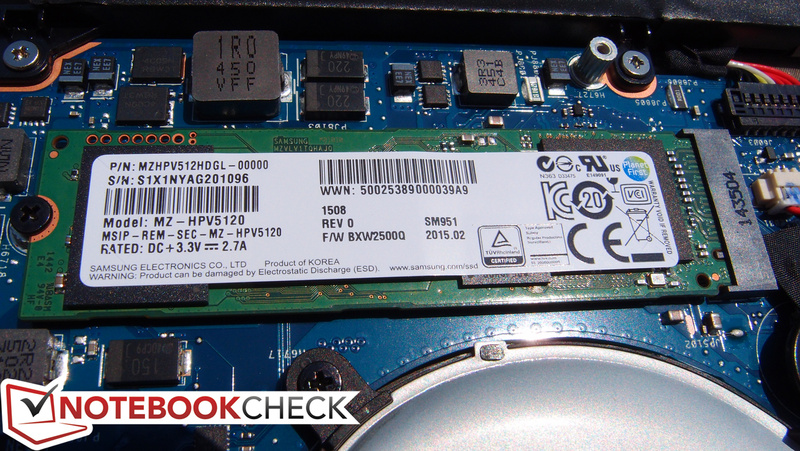 As of this writing, ASUS’ claim of this being the “world’s fastest SSD” is corroborated by our findings: out of 430 entries, the ASUS ZenBook Pro UX501JW currently sits at #1. Lower storage options to exist for the cost-conscious; ASUS also provides configurations featuring 128/256 GB traditional SATA III SSDs, and even a lowly 1 TB 5400 RPM conventional hard drive. Should the user ever wish to replace the drive, it is possible (as detailed in the Case section of our review), but the process of removing the back cover is unnecessarily challenging. 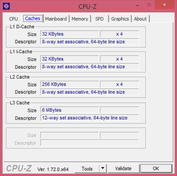 The ZenBook Pro’s NVIDIA GeForce GTX 960M features either 2 GB or 4 GB of GDDR5 VRAM, depending on configuration. Our review unit includes the 4 GB model, and we found its performance to be sufficient for most all uses apart from that of the heaviest gaming. The 3DMark Fire Strike score of 3801 indicates a machine that should be able to handle most everything the user throws at it, though of course operating modern games at the native 4K resolution will not likely be plausible. We have extensive testing of the GTX 960M already in our GPU database, so for much more information about the performance of this particular component, don’t miss our dedicated page. As compared to other notebooks with the same GPU, the UX501 again trails, but not by a terrible margin. Its Fire Strike score of 3801 is 8% below the Razer Blade Pro 17’s 4094 and 1% below the MSI GE62 2QD’s 3825. But as compared with the latest Dell XPS 15 for instance, which only features an NVIDIA GeForce GT 750M, it’s nearly double (2049 versus 3825). Unsurprisingly, the performance of the UX501 is virtually identical to that of the ROG G501JW variant, which is by all accounts the same set of specs. Speaking of the Dell XPS 15, some earlier models of that machine experienced some serious CPU whine issues, reportedly resolved via later motherboard revisions. Our ASUS UX501 exhibited none of those problems, and in fact, apart from a higher idle value of 31.2 dB(A) versus the XPS 15’s 29.6 dB(A), it’s actually noticeably quieter in terms of fan noise as well. We recorded load values of just 38.6 dB(A) on average, and while the maximum of 46.5 dB(A) is indeed pretty noisy, the situation is considerably more positive than the XPS 15’s 45.4 dB(A) average. We rarely found the UX501 to be bothersome, and only during serious stress did we even really notice the fan noise. Clearly, ASUS’s choice to go with a dual fan and dual heat pipe design was a sound one. The dual fan/heat pipe design reduces both heat and noise. In spite of the merely moderate system noise, the ASUS UX501 manages a fairly good result in the area of case temperatures. Averages under stress of just 36.4 °C and 40.8 °C on top and bottom respectively compare favorably with the XPS 15’s 39.7 °C and 39.6 °C under those same load conditions, but those numbers don’t tell the full story. 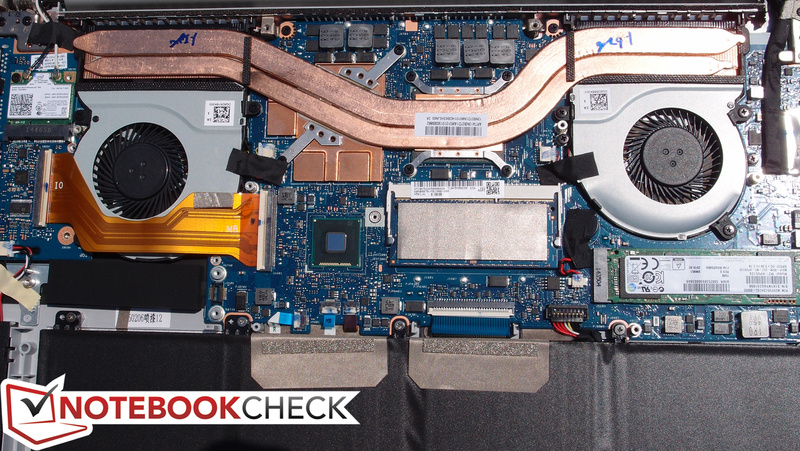 While the XPS 15 also produces uncomfortable hot spots of 51.8 °C and even 64.6 °C (!! ), the UX501JW spreads the heat far better with hot spots of just 42.2 °C and 48.6 °C on top and bottom in comparison (again, likely thanks in large part to the dual heatsink/fan design). That renders it much more comfortable for lap-borne use under load versus the XPS 15. (±) The maximum temperature on the upper side is 42.2 °C / 108 F, compared to the average of 36.5 °C / 98 F, ranging from 21.1 to 71 °C for the class Multimedia. (+) In idle usage, the average temperature for the upper side is 31.3 °C / 88 F, compared to the device average of 30.9 °C / 88 F.
For stress testing, we utilize Prime95 (for CPU stress) and FurMark (for GPU stress) and evaluate a machine’s ability to withstand the synthetic load conditions that result. We monitor clock rates temperatures throughout this procedure to assess the response of the machine. 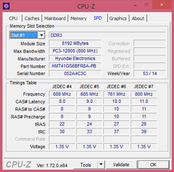 Under stress, the UX501JW’s CPU manages only slightly better than the base clock rate, with cores fluctuating between 2.6 and 2.7 GHz and core temperatures peaking at around 84 °C. 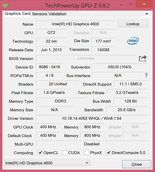 The GPU, meanwhile, maintains a core clock rate of 1.2 GHz, and manages a stable temperature of around 85 °C. 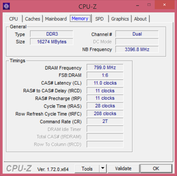 Of course, considering the fact that the CPU already operated at reduced frequencies when stressed independently, combined stress of the CPU and GPU results in even more constrained performance: we recorded the same GPU clock rate of 1.2 GHz, but coupled with a CPU frequency of just 1.8 GHz—which is below the base frequency. Temperatures of 84 °C and 85 °C for CPU and GPU respectively suggest that the limitations are instead firmware-imposed, possibly due to TDP constraints, but more likely hard-capped at the 85 °C and set to throttle as necessary to keep temperatures below that point (we witnessed the same sort of capping on the G501JW we reviewed last week). Nevertheless, it is unlikely that the user will experience such conditions very often during real-world use of the machine. 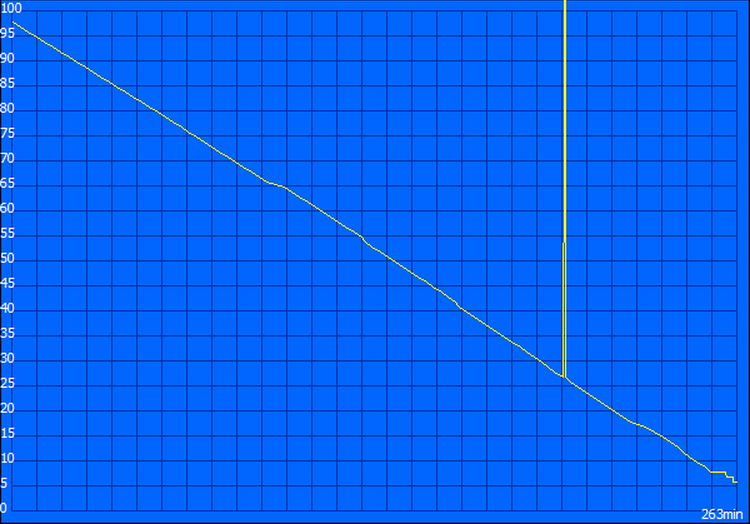 In fact, post-stress, we recorded a 3DMark 06 score of 22188, which is only slightly below the previous score of 23938—so in short, while this is a real limitation, it isn’t a debilitating one. Our G501JW review includes even more extensive stress testing, including tests involving Unigine Heaven and Metro: Last Light. It is safe to extend those same results to the UX501JW, as it appears all other performance parameters are equivalent thus far. While some of ASUS’s marketing claims (such as performance benchmarks) were perfectly justified by our lab results, we were rather surprised to discover that the so-called “truly incredible sound” was in fact incredibly disappointing. It isn’t that the sound quality is bad, it’s simply that it is nothing transcendent of typical notebook fare, and it is in fact inferior to that of most similarly-sized models. 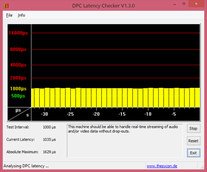 Not only is the volume fairly weak, but low frequency reproduction is sorely lacking, and the included post-production software (ASUS AudioWizard) can’t match most competitors, such as that of the Realtek-based Dell Audio driver package (which, while decidedly heavy on CPU on some systems, is very good overall). By random comparison of some machines similar in size and even smaller, for example, the Dell XPS 15, the Lenovo X1 Carbon, the Dell Latitude E7440, and the Apple MacBook Pro all have far superior audio reproduction with much more well-balanced sound profiles. The audio is best still when the laptop is resting on a hard surface thanks to the fact that the speakers have moved from the top of the unit to the underside (presumably to make room for the number pad). While this decision will likely please some buyers, the fact that better speakers couldn’t be included this time around is a bummer. The UX501 packs a rather sizable 96 Wh Lithium-Polymer battery which one would think should provide good runtimes. However, this machine is more comparable to a compact gaming notebook than a typical 15-inch slim entertainment model (as evidenced by its parallels to the oft-referenced ROG G501JW). As such, the ZenBook Pro only manages serviceable battery durations, at least when judged against its lesser-equipped competitors. The minimally-demanding Reader’s Test yielded a result of 6 hours and 1 minute, while on the opposite end of the spectrum, the Classic Test ran for 3 hours and 10 minutes. Most interestingly, however, the new (and more demanding) revision of our WiFi Surfing Test resulted in just 4 hours and 23 minutes of life, which isn’t nearly enough to last the workday. For a gaming notebook, this is just fine—but for a portable business powerhouse, it may not fit the bill. By comparison, the latest Dell XPS 15, which still could hardly be considered a category leader in battery performance, managed nearly an hour longer with 5 hours a 14 minutes. Interpretations of how well these results translate to practical use will vary based on the buyer’s intentions. 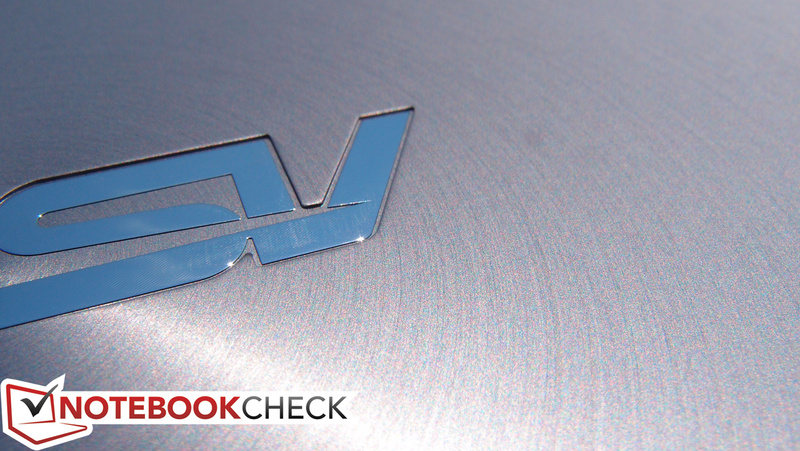 With the ZenBook series, ASUS has earned its reputation as a top competitor in the Ultrabook space, just as its Republic of Gamers notebooks have gathered the respect of enthusiasts worldwide. But, as with the ROG G501JW, the UX501JW represents a curious amalgamation of these two disparate lines, this time marketed to the power user with serious productivity demands. 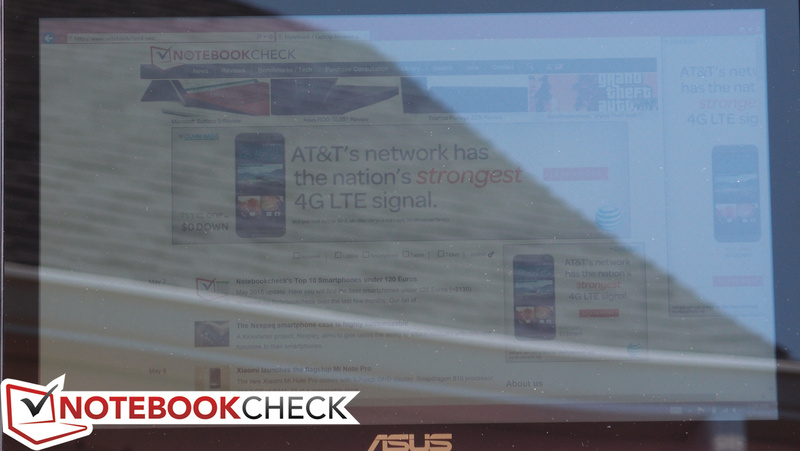 But in spite of its shameless nomenclature, the ZenBook Pro is not a replacement for the MacBook Pro. Yes, it is incredibly fast, and yes, it is attractive—but it’s the identity crisis which limits the UX501’s appeal. Consider the positives: an indisputably capable CPU, a fast yet practical GPU configured with Optimus, literally the fastest SSD we have tested to date (ASUS is quick to advertise this as well of course), an (excessively) pixel-dense touchscreen, and a largely metal, mostly attractive case design. The UX501 also possesses good thermal management, reasonable noise levels, and a greatly-improved keyboard over that of the NX500 series machines. Yes, it is incredibly fast, and yes, it is attractive—but it’s the identity crisis which limits the UX501’s appeal. 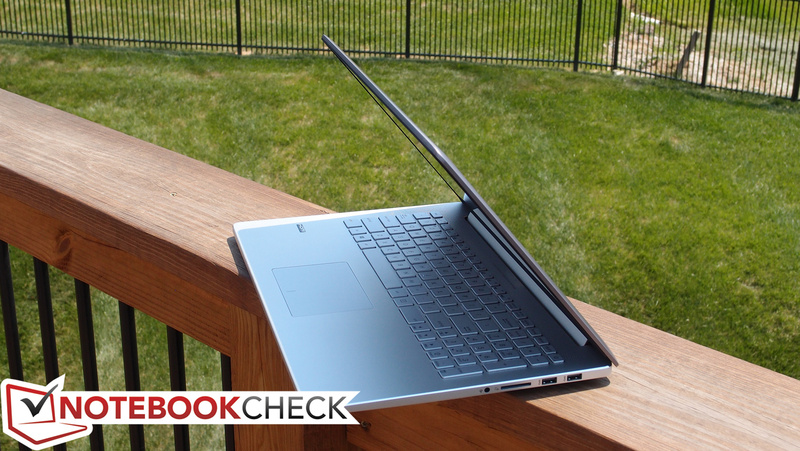 However, the ZenBook Pro’s few primary missteps are of significant weight. For starters, while the battery life is certainly acceptable within the gaming notebook segment, for general productivity and business machines, 4.5 hours unplugged just doesn’t cut it. Meanwhile, the touchscreen, while unquestionably sharp in its resolution, is absurdly reflective in its finish, with merely pedestrian brightness and contrast ratios failing to make up the lost ground. 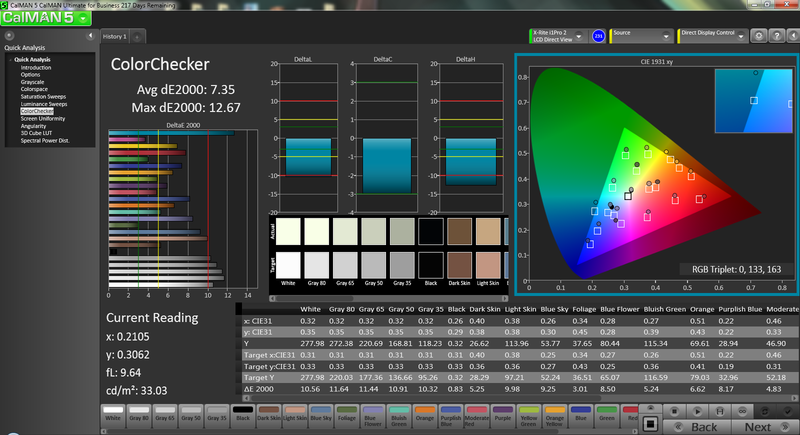 The color balance also is oddly shifted toward yellowish hues, and sRGB coverage doesn’t appear to be as good as promised. 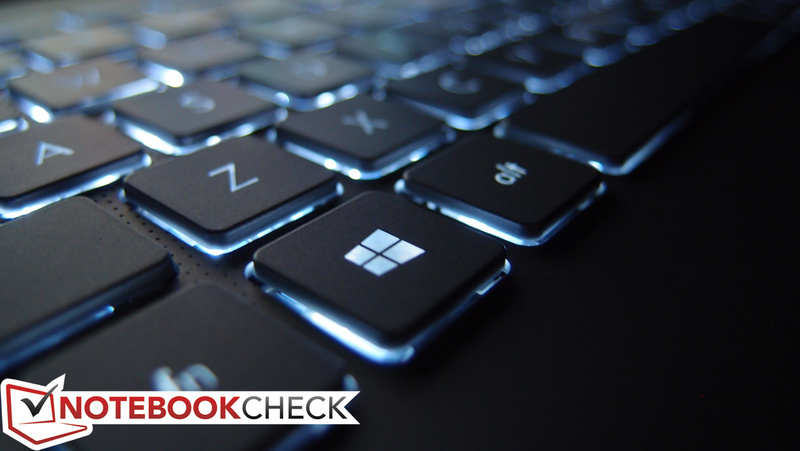 Maintenance is unfairly challenging for a notebook which, considering its price and target market, ought to embrace accessibility. Finally, the speakers—promised by the manufacturer to produce “truly incredible sound”—are thoroughly disappointing in comparison with many competitors. 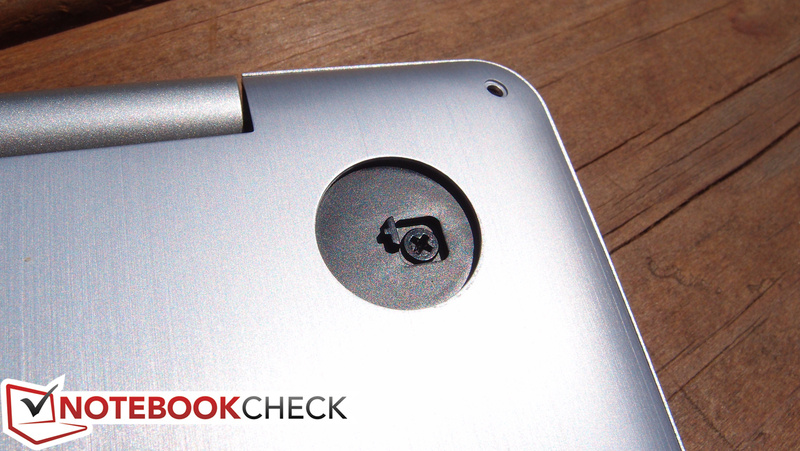 The ZenBook Pro concept is a valuable one which should be explored further by the manufacturer. But what would really catch our eye is a UX502 with somewhat lower power consumption (37 W TDP CPU perhaps), discrete GPU, a matte 1080p display panel with good performance, better speakers, an easily removable back cover, and the same Samsung SM951 SSD. With better battery runtimes and improvements to the aspects which matter most to professional users, such a machine could be a serious threat to the competition. Update: The MSRP on this unit has since dropped to just $1,499. At this new price point, if you can deal with the aforementioned compromises, it is a significantly better value!